Participants of kitchen gardening gathered to learn the process of Clay Pitcher Technique. Participants making holes with the help of a nail in the clay pots which will allow water to moisture the soil. 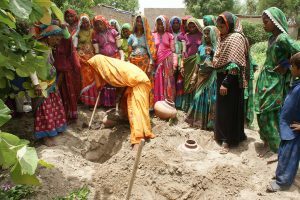 “This is very some techniques to grow vegetable with small water,” expressed Tejo Prem Nager from Badin. The clay pots are dug in the ground with the mouth of the pots exposed. Placing clay pitcher in the soil for kitchen gardening. 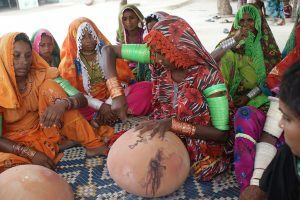 Community World Service Asia, with the support of Canadian Foodgrains Bank and PWS & D, is implementing a three year project on Food Security and Sustainable Agriculture to support flood and drought affected families in two Union Councils of District Badin in Sindh, Pakistan. Kitchen gardening is among the main components of the project. The current summer cropping season is faced with severe water shortage in the Sindh province. 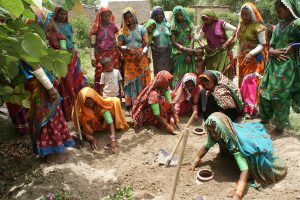 This has not only reduced major crop yields but has also limited vegetable sowing in home-based kitchen gardens which almost hundred percent of the flood affected families relied on during the last cropping season. Considering this year’s water shortage and predicted water scarcity which is due to the impact of climate changes in the area, this season, Community World Service Asia’s project team is training targeted farmer families in Kitchen Gardening through introducing the Clay Pitcher Technology. 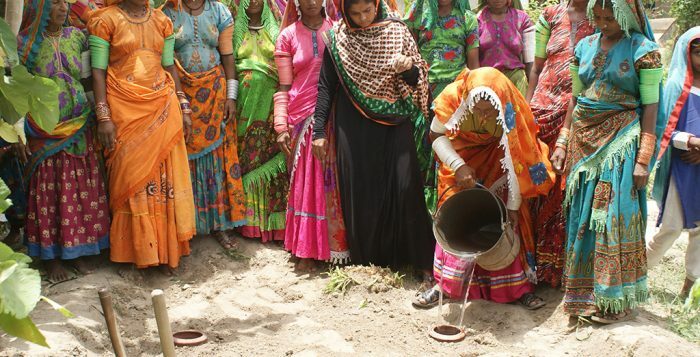 With using this method, farmers will be able to grow vegetables even with limited water. The Clay pitcher technology is a simple, low-cost solution for dryland farming which involves the usage of wasted, scratched or broken clay pots placed at home. Unglazed clay pots with a capacity of seven to ten litres and with a conical body and narrow neck, are buried approximately one meter apart in the ground, with the mouth of the pot exposed. 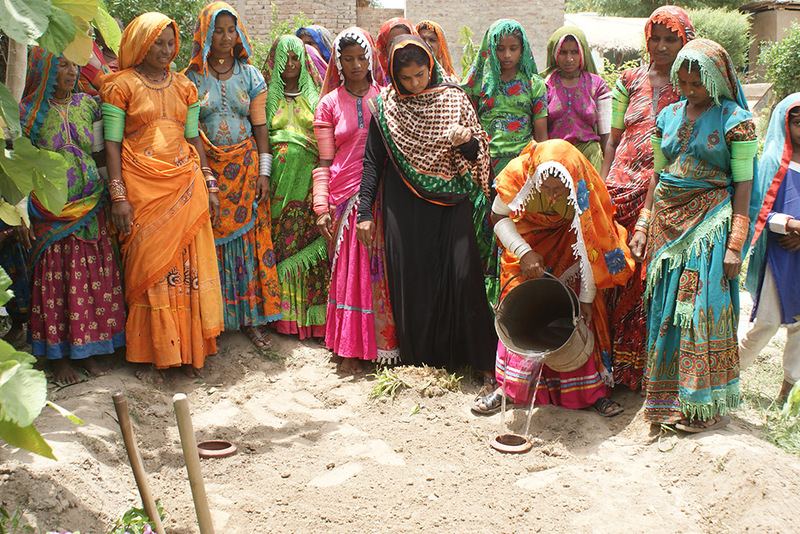 Vegetables are then planted around each pot which is filled with water after every four to seven days. Water percolation from the pot moisturizes the surrounding soil to make bed with enough moisture that can help produce healthy vegetables.